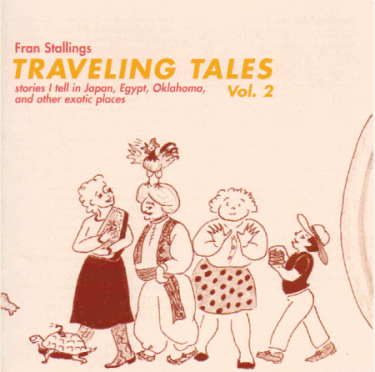 This CD contains Fran's tellings of stories which appeared in a second bilingual book published for her fans in Japan. The CD is entirely in English. Recorded at KYFM, Bartlesville, OK, by Charlie Taraboletti, ©2005 Fran Stallings. 2. Obedient George Your browser does not support the audio element. 3. Tug of War Your browser does not support the audio element. 4. The Story of a Pumpkin Your browser does not support the audio element. 5. The Rooster and the Sultan Your browser does not support the audio element. 6. Who's Afraid of a Squeaky Door? Your browser does not support the audio element. 7. Snake and Earthworm Your browser does not support the audio element.